If ACV or coconut oil isn't to your taste, then try substituting lemon instead. Slice up a clump of fresh ginger. You can buy it at the grocery store. I don't bother with peeling the clump before slicing because I'm too lazy to do so. 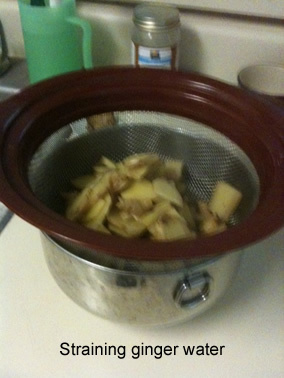 Put slices into a pot and cover with water (I use a 3-qt pot to lessen preparation frequency). Remove the pot from the heat and cover it. Let it steep for about 15 minutes. 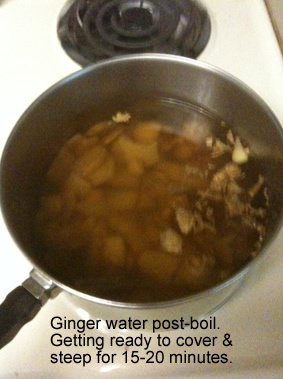 After the ginger water cools, pour it into a container and refrigerate. When you're ready for a drink, heat up the ginger and plain water combo via microwave, my choice, or stove. Flavor it with any combo of honey, ACV or lemon to taste. 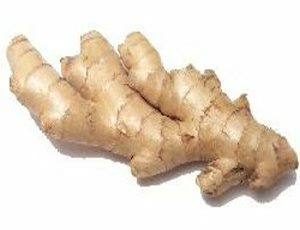 Raw honey, raw ACV, and lemon are all natural immunity boosters so any combo of them are good additions to use with the ginger. Coconut oil is one of the super foods. It's a "good" fat and is a great source of energy. Be sure you use the raw types of honey and ACV for maximum benefit. For the lemons, you can substitute a packaged lemon juice. If you do look for a brand that is from 100% real lemons rather than concentrate. Whole Foods as a 365 brand that is not made from concentrate.